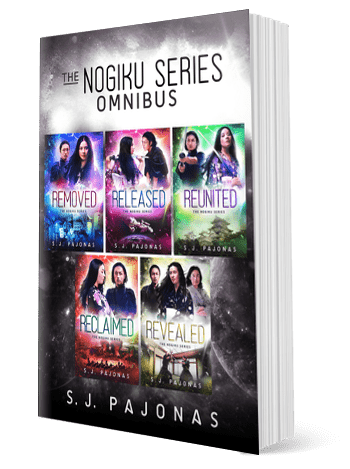 Get all five books of the Nogiku Series in one giant omnibus! With over half a million words, this omnibus will give you plenty to read! Get REMOVED, RELEASED, REUNITED, RECLAIMED, and REVEALED all in one discounted ebook omnibus. The Nogiku Series is a saga of post-apocalyptic sci-fi novels set in future Japan. If you like tenacious heroines, sizzling chemistry, and unique post-apoc settings, then you’ll love S. J. Pajonas’ dystopian adventure.